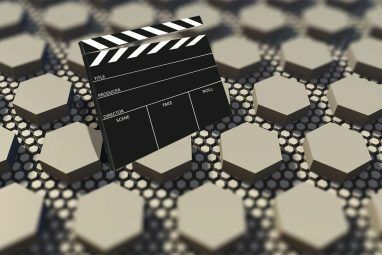 If you have your own website or blog, and you’re looking for ways to offer even more interesting content to your visitors, there’s nothing like a high-quality embedded video that applies to the topic or theme of your site. 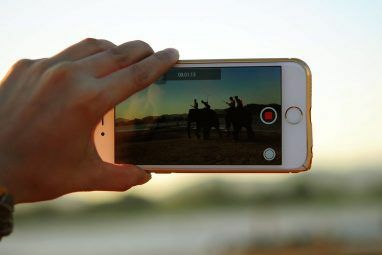 If you impress your visitors and keep them coming back for more, then provide a video of the day, week or month that applies to the information that you’re covering at that moment in time. Videos make awesome supplements to any site. A while back I offered you three ways to add video to your website. Ann introduced you to Embedly, an awesome tool that helps you embed anything on your website, including videos. 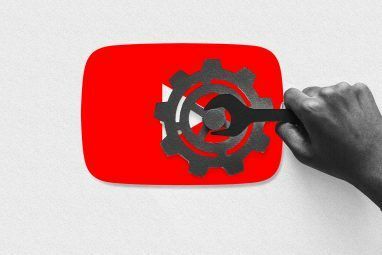 However, YouTube is still the king when it comes to online video content, and they’re offering new tools for users all the time, such as the new YouTube Video Editor How To Use The New YouTube Video Editor How To Use The New YouTube Video Editor Read More that Matt covered. I’d like to introduce you to another awesome YouTube tool that helps you embed YouTube videos on your website or blog with very little effort and without the need to mess around with embed codes and correctly sizing the video. That tool is called the YouTube Custom Player. YouTube is an amazing resource, filled with content that covers just about any topic you could imagine. If you have a website that covers a certain product or service, the odds are pretty good there are countless YouTube videos about it. If you have a blog about a specific subject, you’re almost guaranteed to find YouTube videos covering that topic. Wouldn’t it be nice to let your visitors watch that video content from the comfort of your website, without the need to visit YouTube? That’s where the custom player comes in. I used to embed new weekly videos into my blog using the standard YouTube embed code and carefully choosing the correctly sized video that fit into my sidebar, as shown here. As you can see, I could never get the size just right and placement is a nightmare, especially if the new video that I want to embed has slightly different size parameters from the last video. However, with the new custom player from YouTube, you can put all of that headache behind you. You can create custom players – and in my case I simply create a uniquely named player for every blog I own. You can choose a color scheme and layout that suits the design and structure of your particular site. The way I’m going to set it up here is so that you can change the video content on all of your websites on one page – your My Players page on YouTube. You do this by creating Playlists named the same as the website where you’ll embed the player. Then find the video you want to display on your website and add it to that playlist. On the lower part of the Custom Player setup page, you’ll see where you can use the content from that playlist for the source content of your new custom video player. Then click on the button to generate the code. Then you can insert that code to embed the player into your website. In my case, on my WordPress blog I embedded the player into the sidebar.php page. This places the player into your sidebar, and you can edit the width and height of the player to whatever works for your site. If you’re using WordPress, you can just embed the player code into an HTML widget for a sidebar player. Once you’re done, the content you loaded into that particular playlist will display on your website inside the customized video player that you configured above. Your custom video players all show up on your My Players page. You can create a unique player for every site you own. The beauty of this app is that once you set it up one time, all you have to do to update the content on all of your websites is to log into your YouTube account and change the video in your unique playlists to a different video. That new video will automatically display on your website. Now, there’s no more need to waste all of that time going around to all of your sites to update the video with fresh content – just do it all from your YouTube account and all of your sites are updated. Try out the YouTube custom video player on your own website and see what you think. As far as I know there’s simply no easier way to stream custom content to your own site with such little effort. No more copy and pasting embed codes – just add videos to your playlists and you’re done. Do you use YouTube’s custom video player? What do you think of it? Do you know of any other useful tools to quickly embed YouTube videos on your site? Share your own insight and resources in the comments section below. Mark u r right JULBUL IS MARVELLOUS .THANKS MARK FOR INTRODUCING JULBUL. Mark u r absolutely right.JULBUL is really awesome and fantastic.Thanks Mark for introducing JULBUL. I personally use Julbul custom YouTube video player that removes youtube logo from embedded videos and offer 5 skins with unlimited color options. I love their Wistia/Vimeo player skin for youtube embedded videos. Thanks mark for JULBUL ITS BRILLIANT.Thanks once again for JULBUL.